I realize this sounds like complaining about the taste of caviar in front of starving peasants, but I promise, San Diego Comic-Con was a maddening, overstuffed, haphazardly-run nightmare that feels like it's about to break into three separate, dying conventions at any given moment. On the other hand, it was also, as always, exactly as awesome as you think. Thousands upon thousands of fans showed up, we saw tons and tons and tons and tons of great stuff, and in defiance of normal expectations it was actually rather packed with actual comics-related content. And as always, the glue that held it all together was the cosplay community. We've already done a ton of cosplay galleries from SDCC, but before we bid a final farewell to it, we're going to pause to celebrate some of the best cosplay from all four days of the con - we've even included a few previews from our coverage of the Masquerade. Of course, we couldn't narrow it down to a reasonable number, so here are 98 photos. Try not to hurt your eyes. 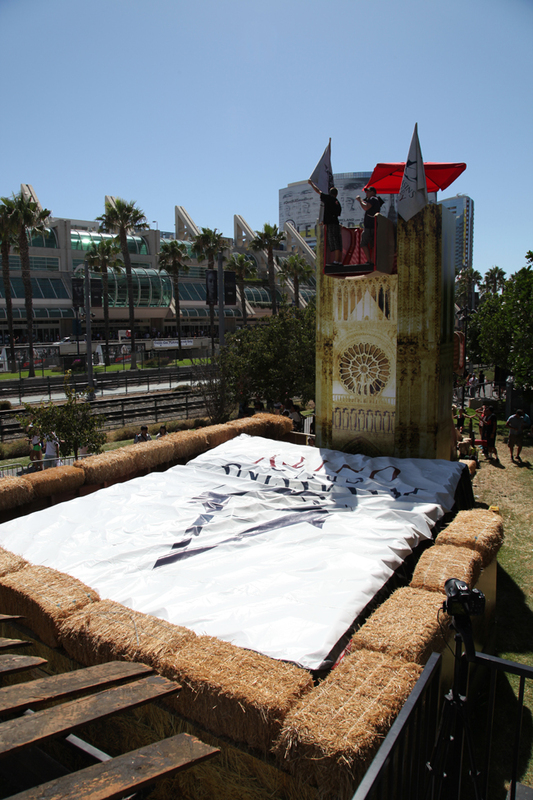 First, to set the scene, here's the ginormous Assassin's Creed Experience setup across the street from the convention hall. Crummy pics in this gallery by Ross Lincoln. Amazing pics by The Escapist's Paul Goodman.